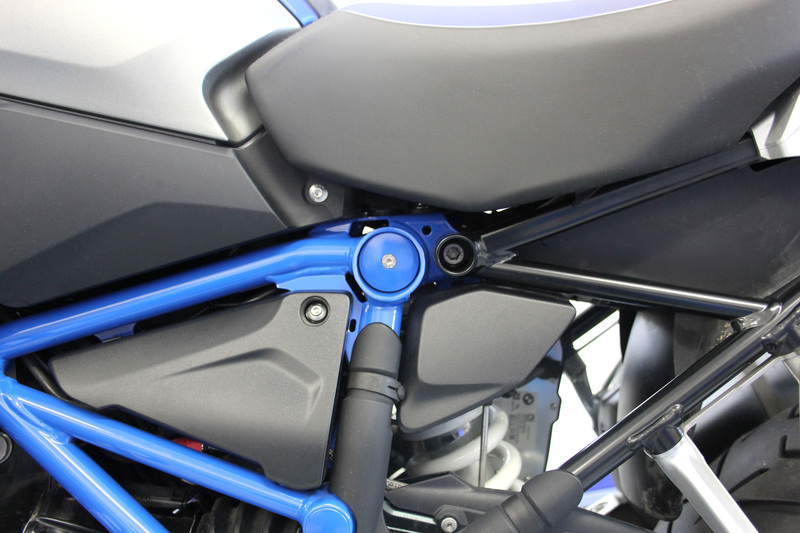 Our popular covers for the swing arm pivot, the suspension mounting, the rear frame etc. are now also available in the new trend colour cordoba-blue. 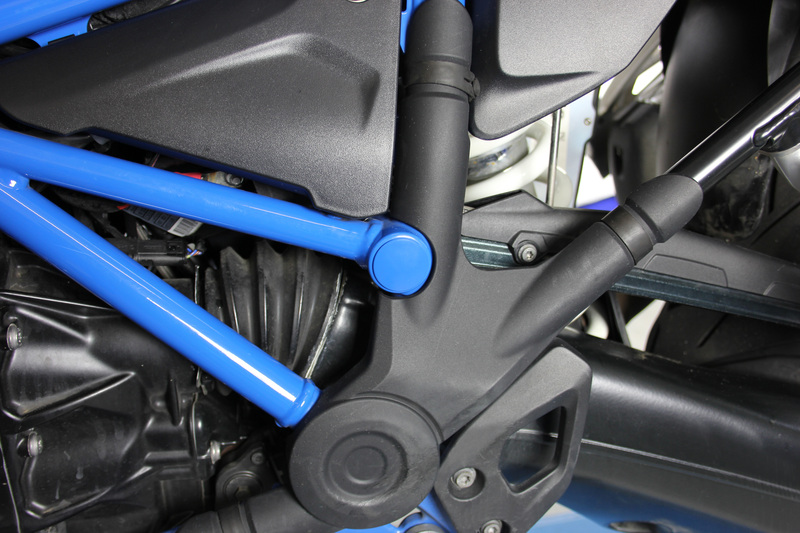 This colour fits perfectly to the frame of the new R1200GS LC Rallye and to all R1200R LC models with a blue frame. 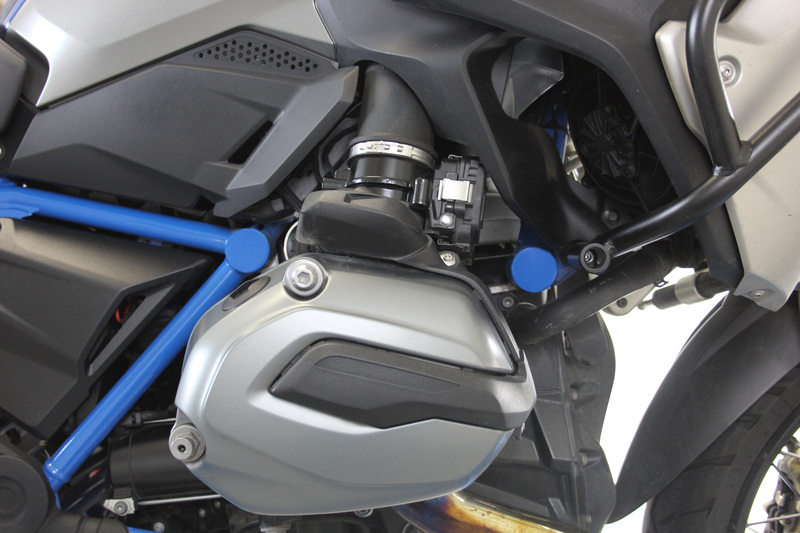 However, you can of course also mount the blue covers on all regular R1200GS LC and R1200GS Adv. LC models, all R1200R LC models and on R1200RS models. 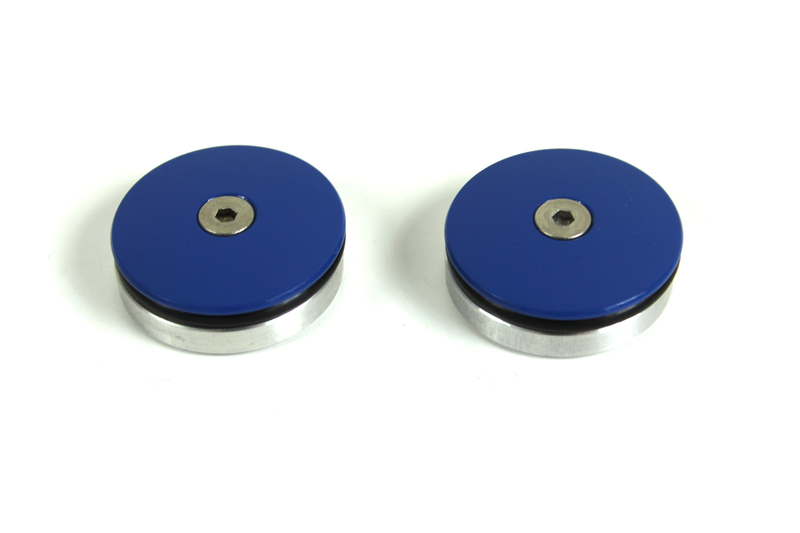 These covers for the open holes of the suspension mounting are made of aluminium and available in silver anodized. These 2 covers will be installed on the left and right side. 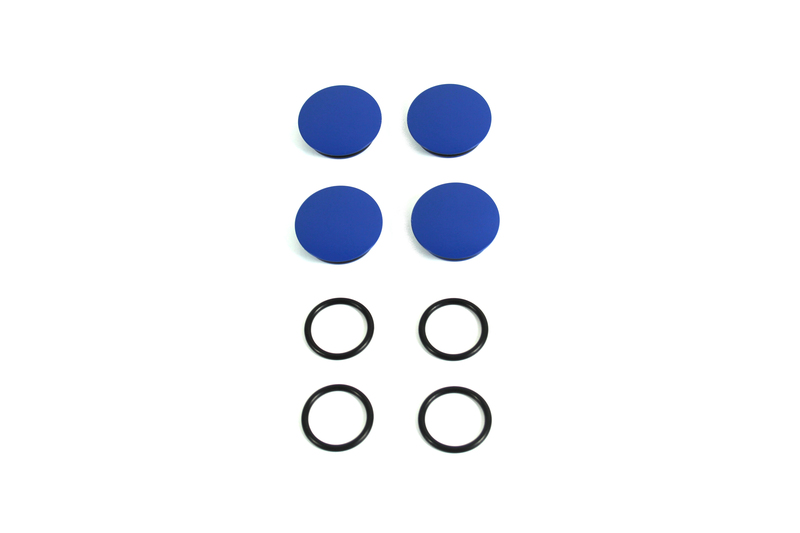 An expansion fastener will hold them perfectly in place. Shipping contains a set (2 pieces). 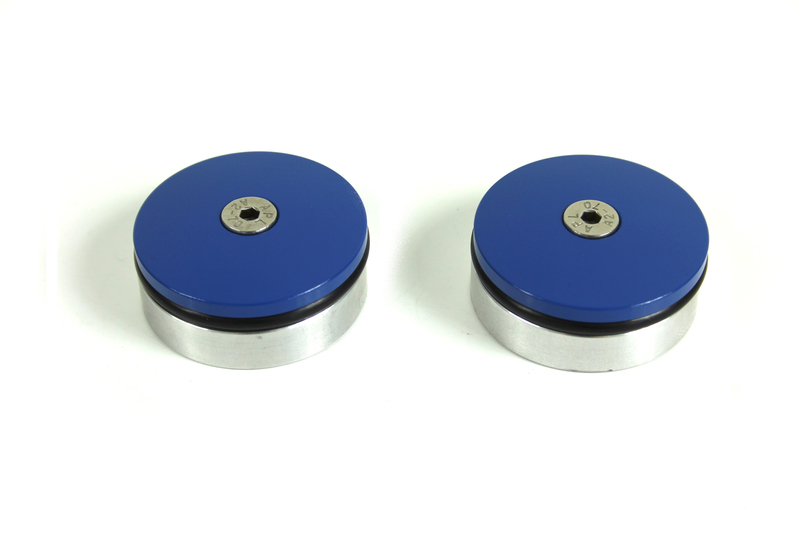 These covers for the open holes of the engine mounting are made of aluminium and available in silver anodized, black anodized, blue or red. 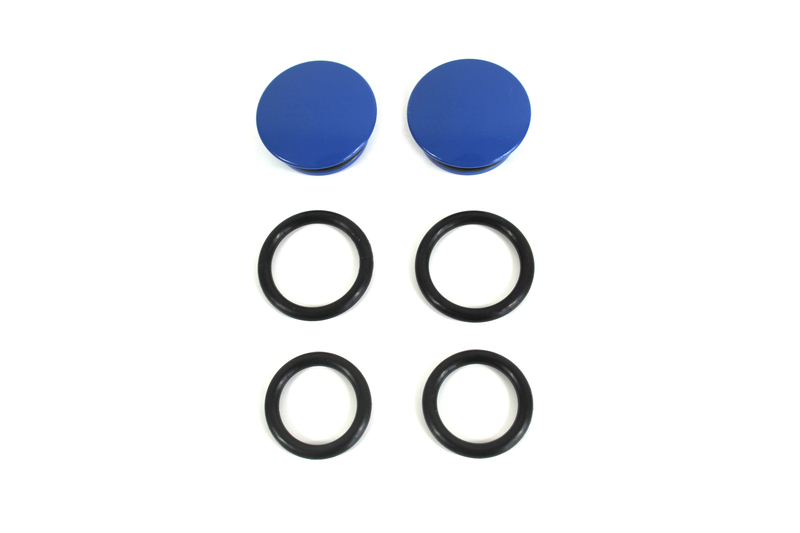 These 4 covers will be installed in front of and behind the cylinder on the left and right side. Shipping contains a set (4 pieces). These covers for the open holes beyond the seat are made of aluminium and available in silver anodized, black anodized, red or blue. They will be installed under the rider seat on the left and right side. Shipping contains a set (2 pieces, for left and right side). 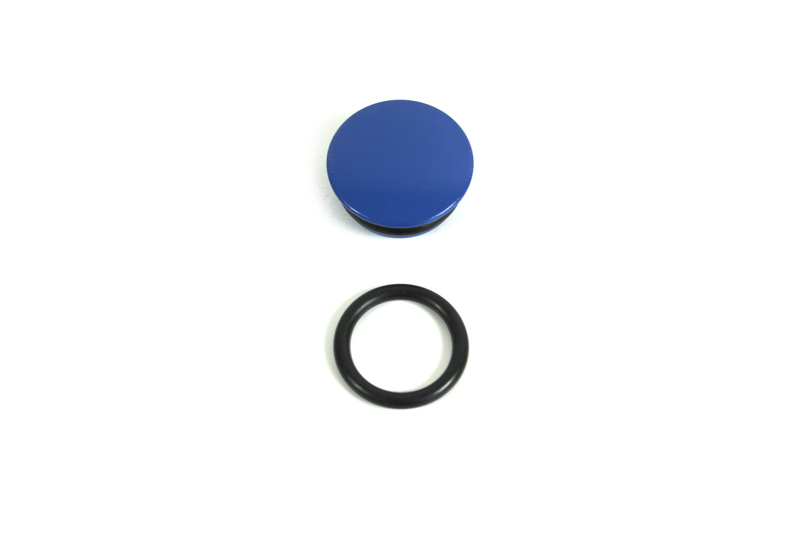 This cover for the open hole beyond the swingarm pivot is made of aluminium and available in silver or black anodized or in blue or red. It gets fixed on the left side. These covers for the open holes of the rear engine mounting are made of aluminium and available in silver anodized, black anodized or red. Those 2 covers will be installed in behind the cylinder on the left and right side. 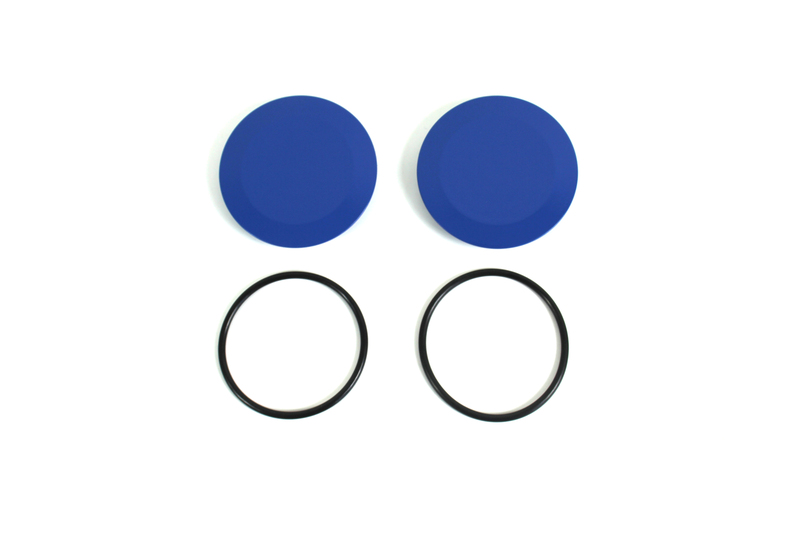 You fasten the screw, the o-ring expands and keeps the cover perfect in place. Shipping contains a set (2 pieces). These aluminium parts cover the big holes above the foot pegs of your BMW and make sure that no dirt or dust can stay in it, water can still escape. Shipment contains a set (2 pieces for left and right side).